A blog dedicated to the life of Ashlee-Rose Brisley, a vegan model and YouTuber, travelling around the world writing about fashion, relationships, food, fitness and travel. So one of my main goals this year was to post more on my blog, and make YouTube videos, including weekly vlogs, and whilst the start of my year was amazing, the rest of January had me bed bound with the worst case of being ill and bed bound I've probably ever had. Three weeks flat out - no work or play. Just ill. 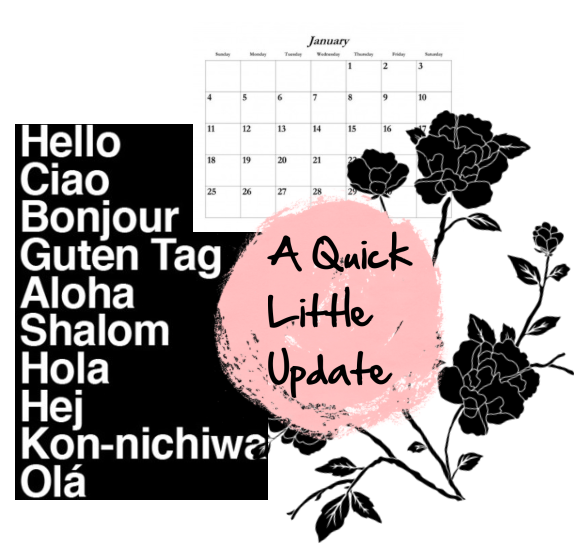 It was horrible, so when February came I basically hibernated in my office and just got my blog posts up at a regular time as well as my Weekly Vlogs. I've also been trying to upload on Tuesday's when I can, which at the moment seems to be every two weeks, however I'm not sure if I will be able to increase it to every week at some point in the near future. Although I do hope to. However I am going to be making the transition into daily Vlogging as of next Friday. So there will still be a Weekly Vlog this week but uploaded early and then instead there will be daily vlogs coming as of Saturday. Before you go thinking that I am becoming a daily vlogger, I am not. Let me just clear that straight up. This is just because I am going to be going travelling a lot this year and when I am I want my videos to be a bit more detailed than what I have to cut down to in a weekly vlog. So expect longer videos from me on a more regular basis for the time being. You may also be aware that I do suffer from multiple mental health conditions, which makes everyday it's own challenge before I even start my day. Some are worse than others and with all the pressure from various areas of my life and the continuous list of things I need to do, adding all the extra editing on top of my schedule is hard to manage as I adjust to the changes in my life. Not to be overly emotional or anything like that I just want to take this time to get my channel in a nice order and how I want it to be, then once I'm happy with how it's come along I will be uploading as usual to and hopefully one day get to a 3 uploads a week schedule. I cannot promise that these videos will be up at the same time everyday etc. As you may or may not be aware that with travel comes a limit in the reliability of wifi and of course time. I will still be filming everyday though and editing and uploading as often as I can, the minimum I can see myself getting up is 3 or 4 videos a week. However I will aim for 7, just don't expect them to all be up at the same time everyday. Daily vlogging is hard and it will take a lot of getting used to. However I am up for the challenge! So the videos will follow a three week trip to Verbier in Switzerland and then I will go back to a weekly vlog until my next trip, which will be a very exciting and interesting journey all around Brazil. So I hope you like seeing Connor in my videos as he will feature in a lot of them! I hope that you can all understand my reasons behind this decision and know that the reason I am making this delay to my usual schedule is because I want to create better content, and not upload something I am unhappy with. I want to do this for you lovely readers and viewers but also to document my life and travels for me to keep a record of this fantastic part of my life. I will do my best to be as regular as possible but I am not a daily vlogger by any means! I'm hoping to spend March/April focusing on replanting and refocusing my blog and channel, so expect the rest of March to be all systems go-go-GO! You will get the idea as I go along and if you watch my videos. So this blog will be more travel and lifestyle focused whilst I am uploading daily videos (as I don't think I will manage daily blogging and uploading to YouTube). That's a very rambled way of me telling you that the weekly vlog will be up early ready to switch to a daily vlog starting from Saturday for the next three weeks and then going back to a weekly vlog after that and then back to dailies. English not your language? Translate it to your own! http://twitter.com/B_ARose http://instagram.com/b_arose http://loveisfreehappinessisexpensive.tumbl. Powered by Blogger. © The Life of Rosie. All rights reserved.